Michigan Farm To School - Blog: FW: You're invited on a tomato tour! FW: You're invited on a tomato tour! Please see information below about a Farmers on the Move farm tour in Bangor, MI that will show off Cultivate Michigan's fall featured food – tomatoes! The tour is scheduled for Friday, August 8th from 10 am – 12 noon. If you plan to attend, register through the link below by this Friday, August 1st! Tomato season is just around the corner! Check out the next Cultivate Michigan featured food being harvested and packaged on this tour. 38-pound packs of cherry and grape tomatoes will be available for purchase on this tour. Jose Luis Vargas Farm produces for Farmers on the Move, the only cooperative of Hispanic farmers in Michigan. Their mission is to provide locally-grown, sustainable produce and preserve Michigan's farmland. 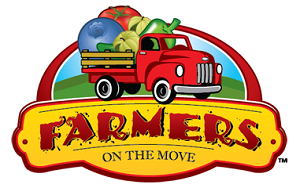 For more information about the cooperative, please visit www.farmersonthemove.com. This tour will be led by Filiberto Villa of Farmers on the Move, Michigan Food and Farming Systems (MIFFS) and a Michigan Farm to Institution Advisory Committee member. Please register by Friday, August 1. Space is limited to 15 people. This tour is free and open to all Farm to Institution practitioners, farmers, suppliers, advocates, supporters and researchers. Light refreshments will be provided. Attendees must provide their own transportation to the tour location and will be provided with directions and more details closer to the tour date. Please note, this tour is not handicap nor wheelchair accessible. For complete details or to register, please visit the Cultivate Michigan website. Michigan leads the nation in highbush blueberry production and produces 32% of the blueberries eaten in the U.S. The western Michigan counties of Allegan, Berrien, Muskegon, Ottawa and Van Buren are the largest producers of blueberries in the state. Download Cultivate Michigan's blueberry purchasing guide to locate and purchase Michigan blueberries to serve in your institution. 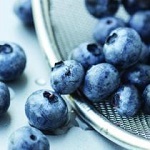 Visit Cultivate Michigan's website for blueberry recipes, promotional materials, and other resources. Cultivate Michigan is designed to help ramp up Farm to Institution programs and track progress. It is a campaign of the Michigan Farm to Institution Network, a group of practitioners, supporters and advocates all sharing the common goal to help Farm to Institution programs grow.